The word is out: For adults age 55+, Leisure World of Maryland is the premier choice for active living. Located in the heart of Montgomery County, our gated community offers a maintenance-free lifestyle convenient to all of the civic and cultural attractions of the greater Washington region. Providing homeowners age 55 and older with a variety of services and resort-style amenities, Leisure World of Maryland is a smart choice for independent living. 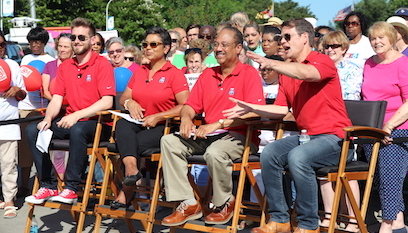 As Seen on TV: Community Featured on "Good Day DC"
Leisure World of Maryland was the location for local television station Fox5/WTTG’s “Zip Trip” segments on its morning program, “Good Day DC” on June 29. Throughout the five-hour program, …. read more.